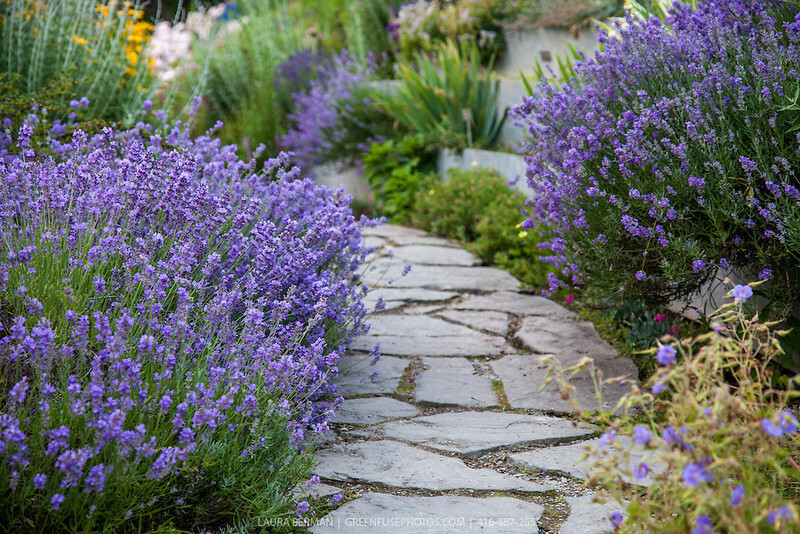 Lavandula angustifolia 'Munstead' (English Lavender) - Shown here lining a flagstone walk. This is a dense, rounded shrub to 18 " ht x 2' w with powdery green-gray, narrow smooth-margined leaves. Early blooming from late April or early May. Blooms are edible. Situate in full sun and provide excellent drainage for best growth. Once established it requires only periodic irrigation. Cold hardy to below - 10° F.